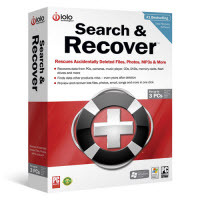 iolo Search and Recover 5 is a data recovery tool for Windows from iolo technologies. This data recovery tool is being designed to recover accidentally deleted photos, files, songs, email or video with a single click. To avoid future data loss, the Search and Recover 5 features with keep data safe function by creating mirror copies of entire devices. Besides backup and recovery, the application is also featured with secure file deletion function for permanently erase sensitive data from recover by any recovery software. Recover data to CD or DVD – create safe storage and backup for your important files. Works two ways – gives users the option to run Search and Recover directly from CD, to prevent potential damage to recently deleted data, while ensuring maximum data recovery. Secure file deletion – permanently erase sensitive information from your PC or digital device, ensuring that no data recovery software can find it anymore. Keep data safe – make recovery effortless and avoid future data loss by creating mirror copies of entire drives. Gain speed and eliminate lag – create virtual drives to run CD or DVD content at faster hard drive speeds. Extended Outlook recovery – recover deleted tasks, notes, journals, contacts, and more from Microsoft Outlook. Visit iolo promotion page and click on “Continue” button to redirect to shopping card page. Click on the “Secure Checkout” button to confirm order. Enter the details of your information in the fields marked with *, then click on the “Review Order” button. After that, click on the “Submit Order” button. 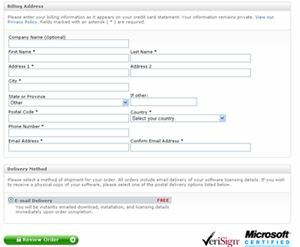 Use the received keycode to unlock and download link to download Search and Recover 5.